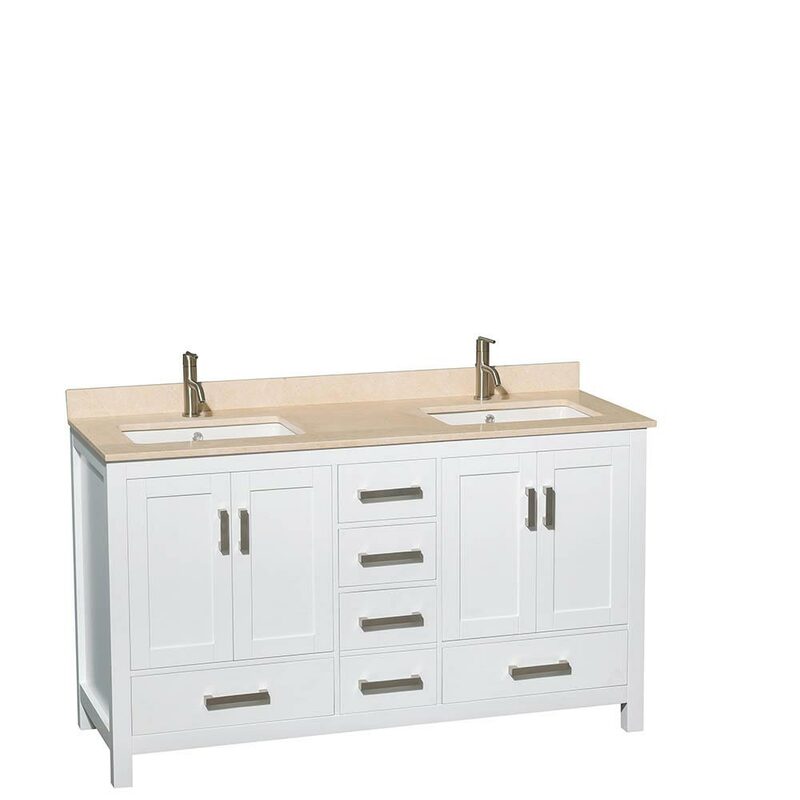 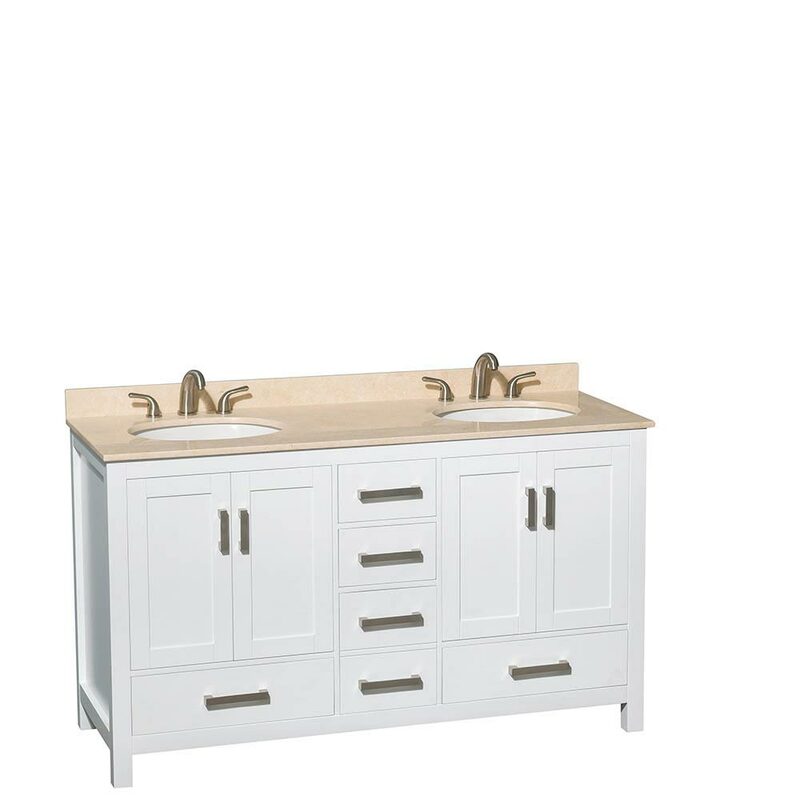 It's easy to see how attractive the 61" Sheffield Double Sink Vanity looks when placed in a transitional or modern bathroom. Its crisp White finish gives off a clean-cut, sophisticated appeal, that's then mirrored by its two spectacular top options. 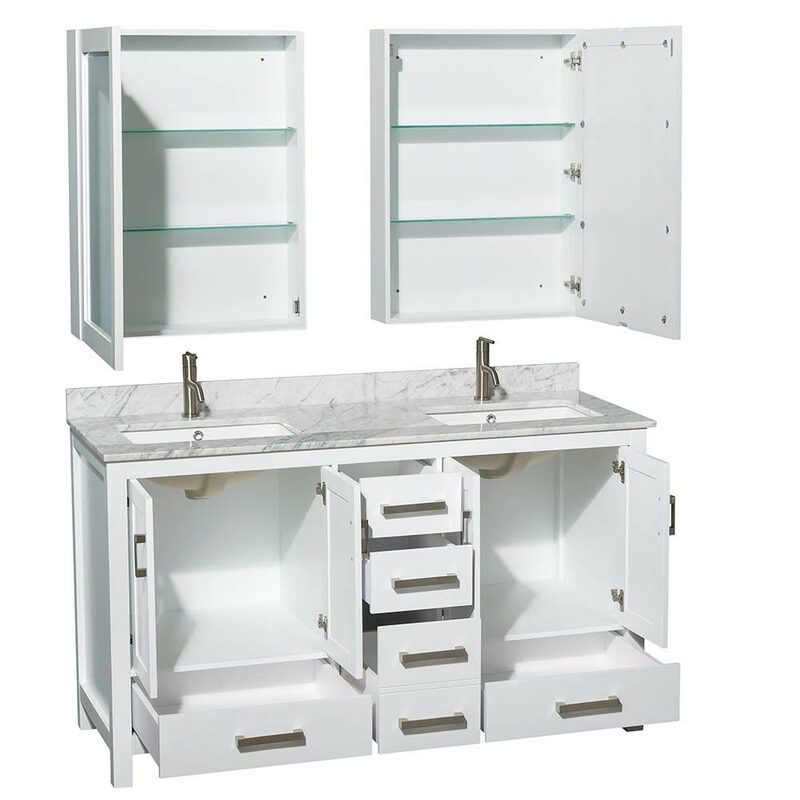 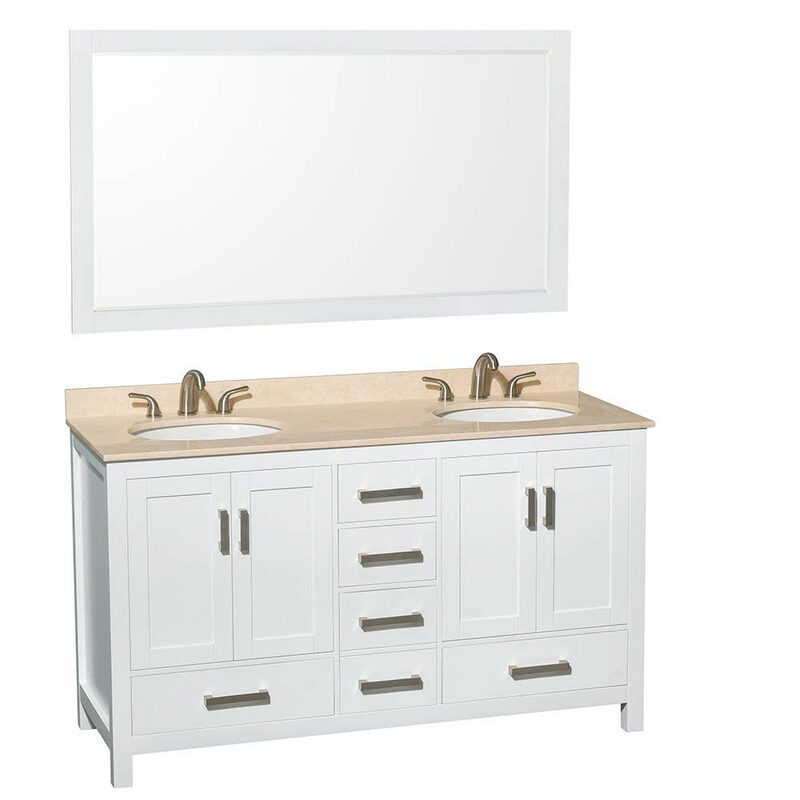 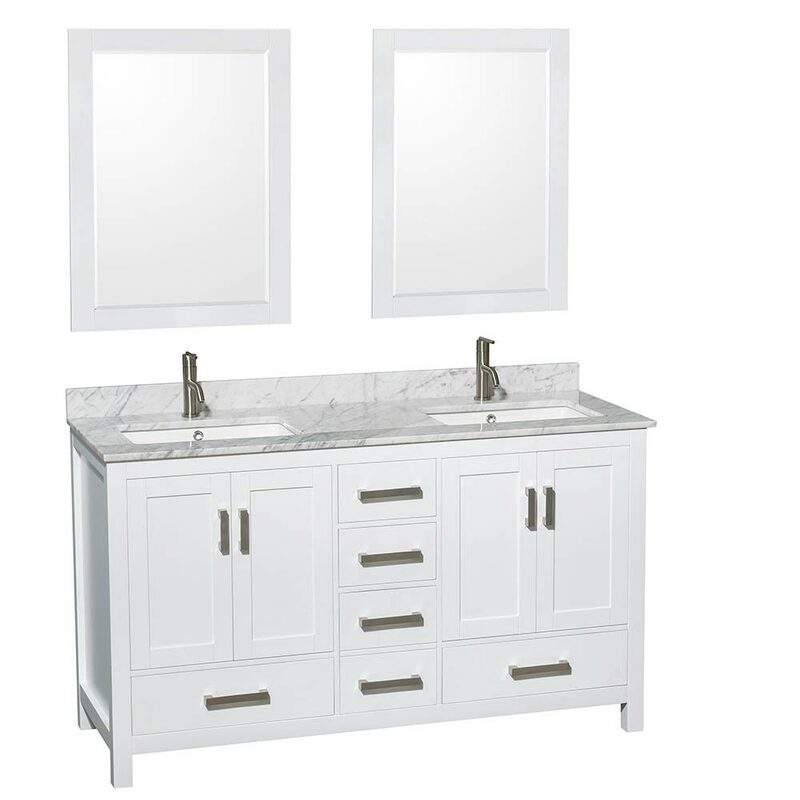 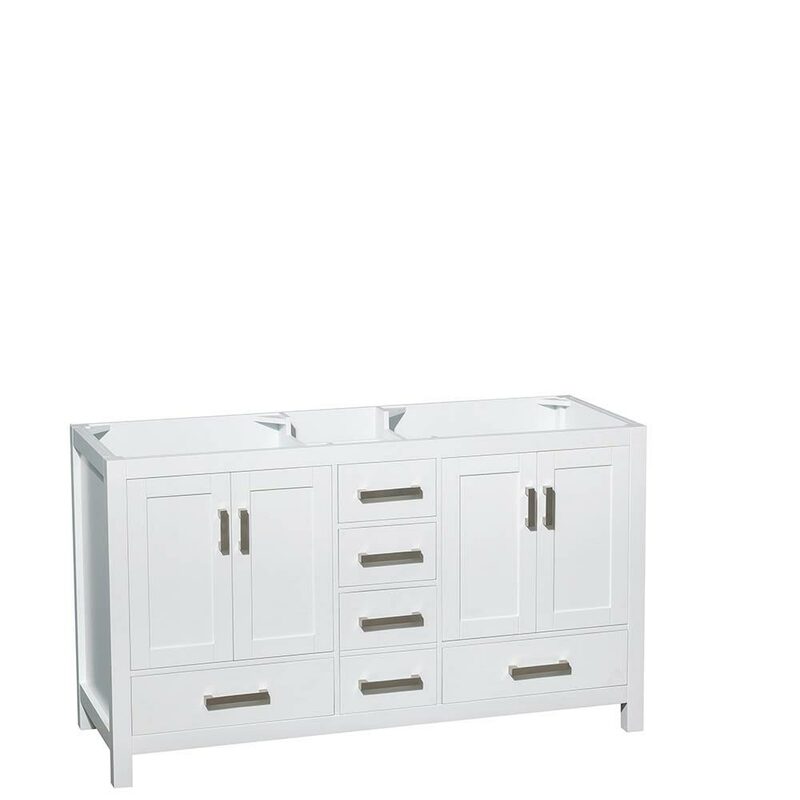 Choose from Ivory or White Carrera Marble to match the Sheffield in White. 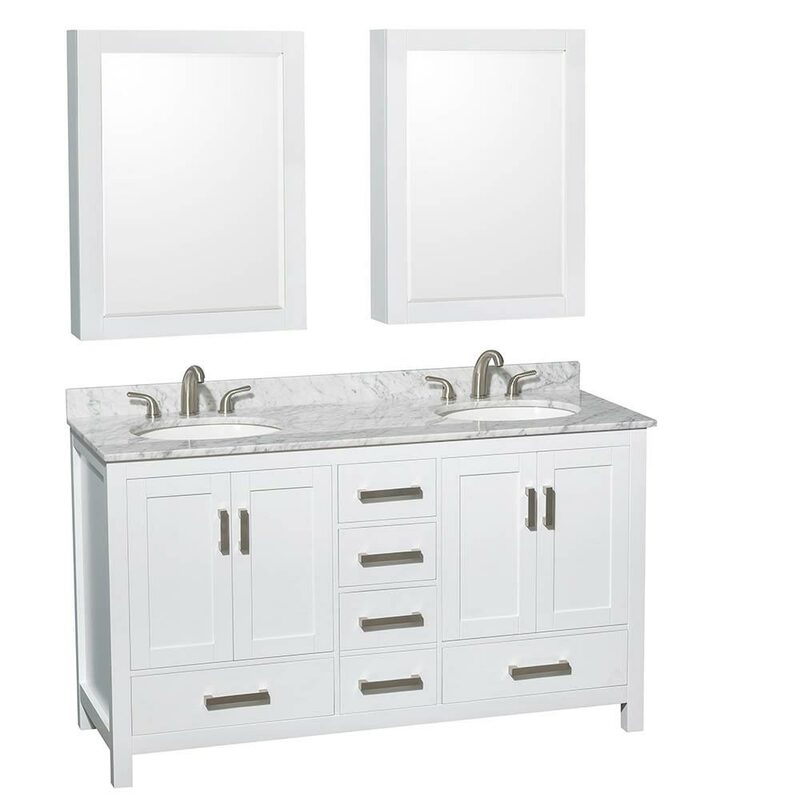 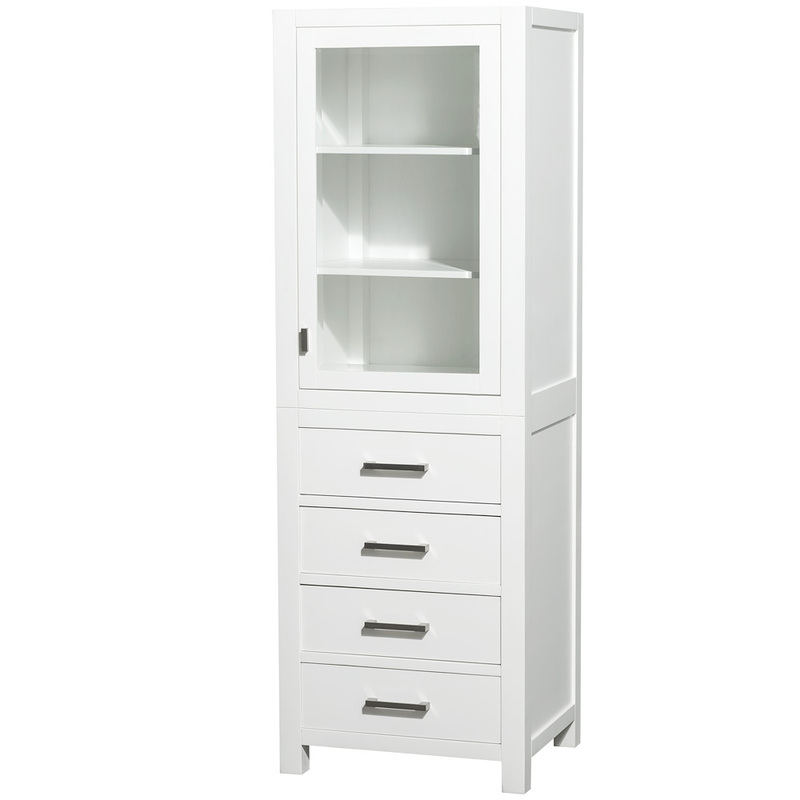 Its cabinet is adorned with Brushed Chrome finished hardware, which enhance the look of the two double-door cabinets and five functional drawers. 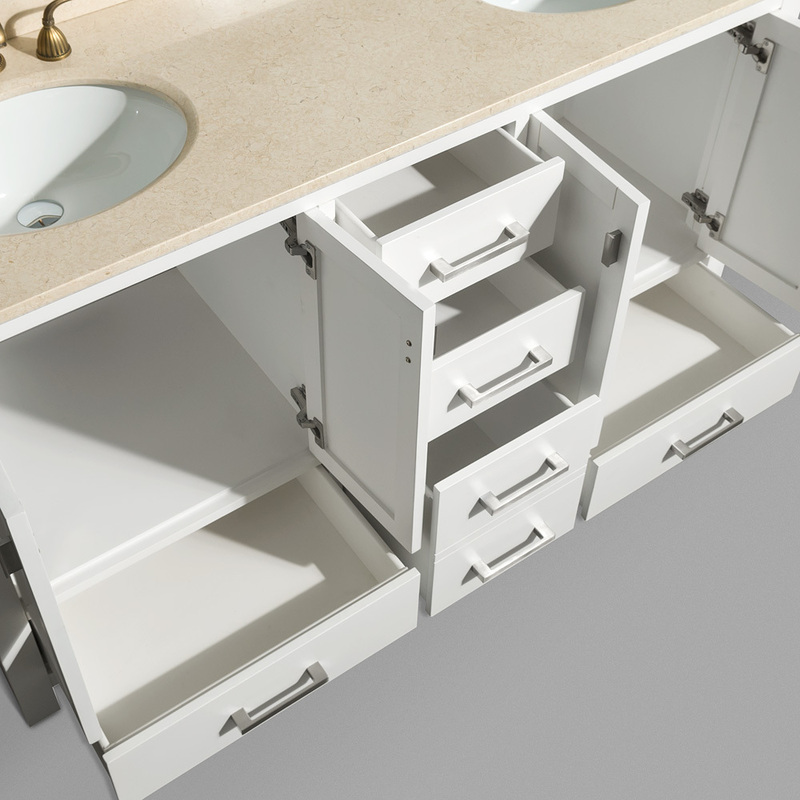 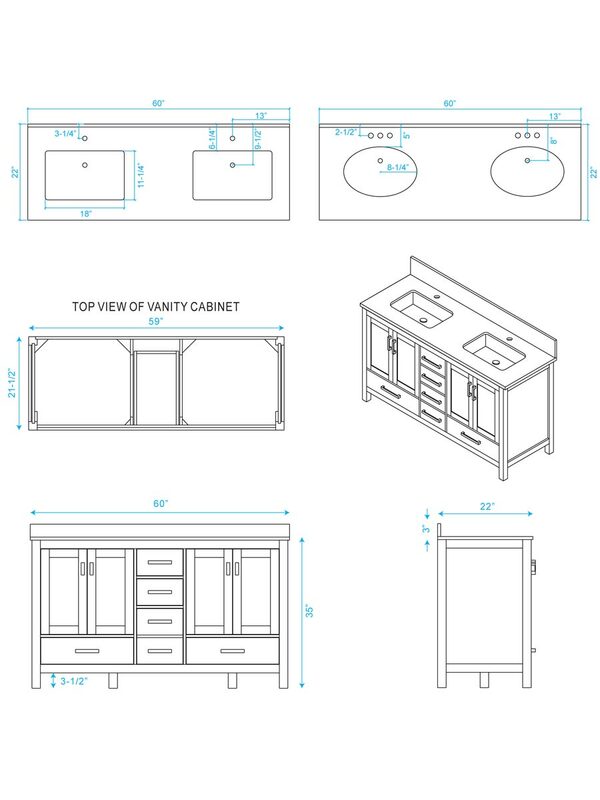 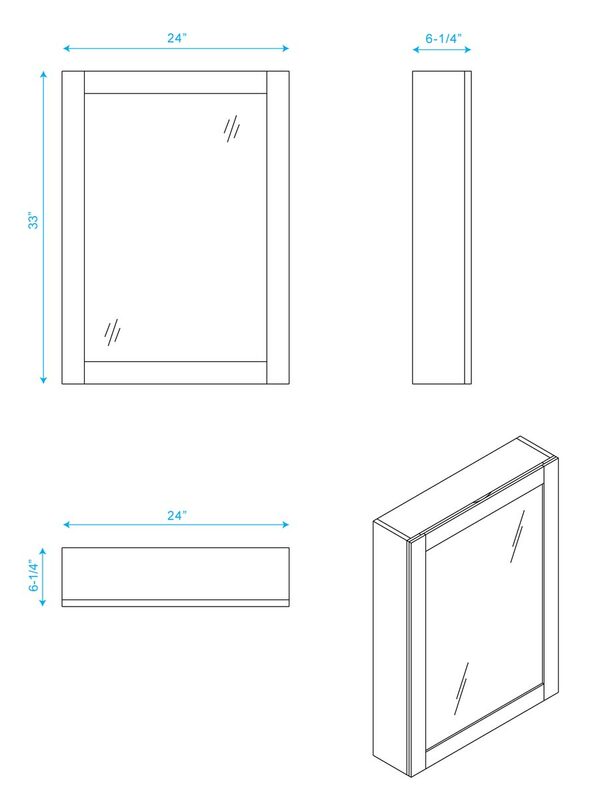 Each cabinet door and drawer is equipped with soft-closing mechanisms to ensure the longevity of the Sheffield. 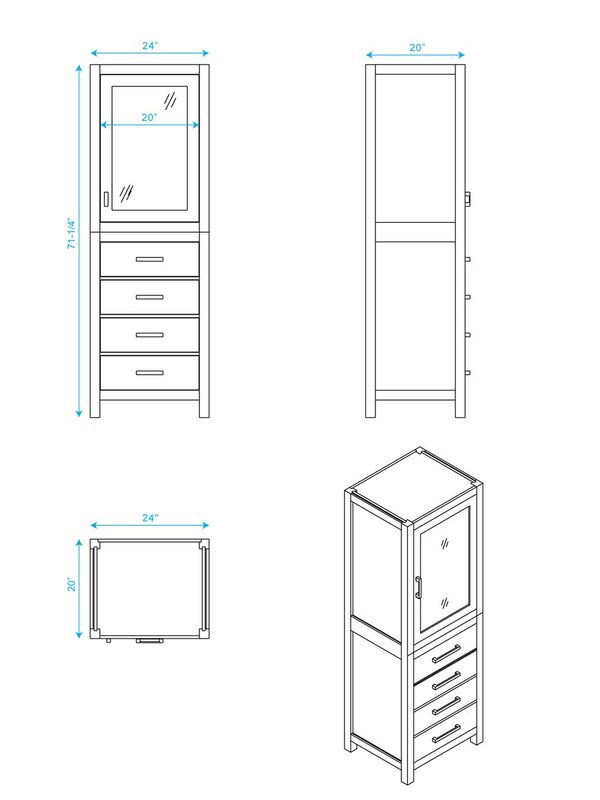 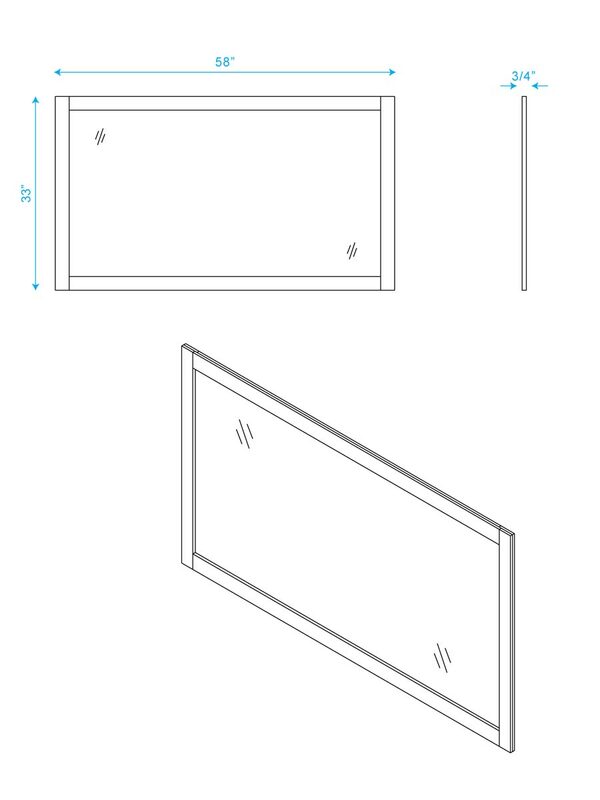 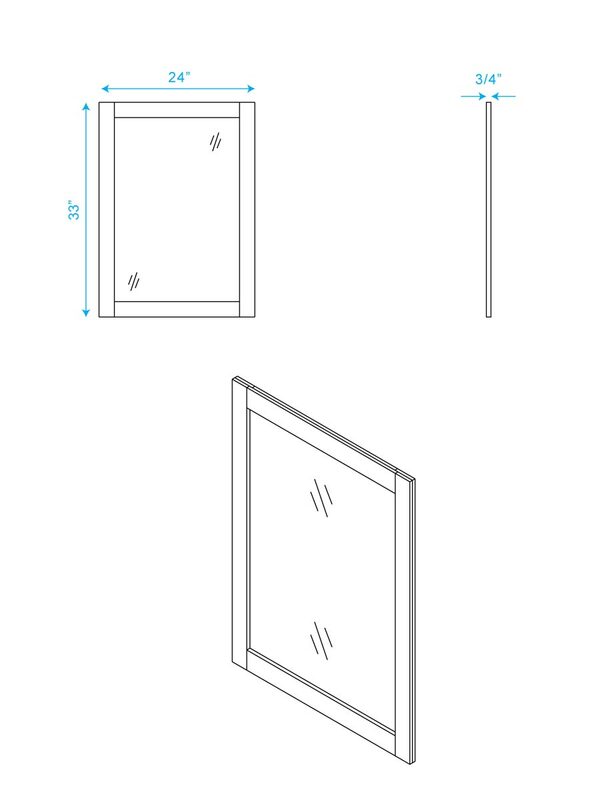 Select from the two small mirror or large mirror option.